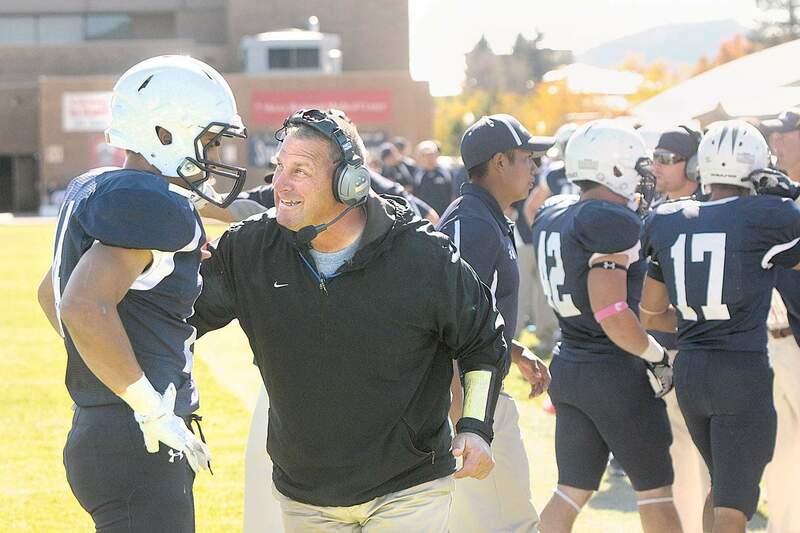 Fort Lewis College football head coach Joe Morris resigned after two seasons in charge of the Skyhawks. He will become the defensive coordinator at West Texas A&M. 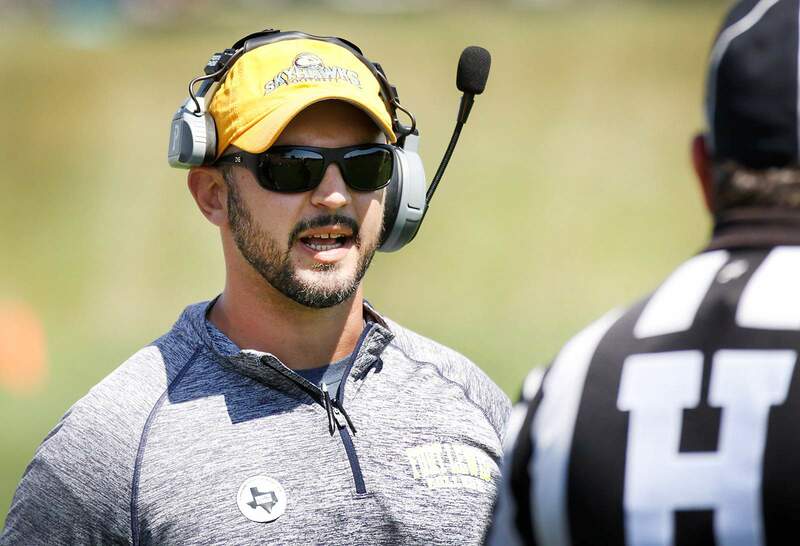 Joe Morris helped lead Fort Lewis College to a 5-6 record in 2017 in his first year as head coach, but the Skyhawks slipped to 1-9 in 2019, his final season in charge of the Skyhawks. Joe Morris went from assistant to head coach during his time at his alma mater of Fort Lewis College. 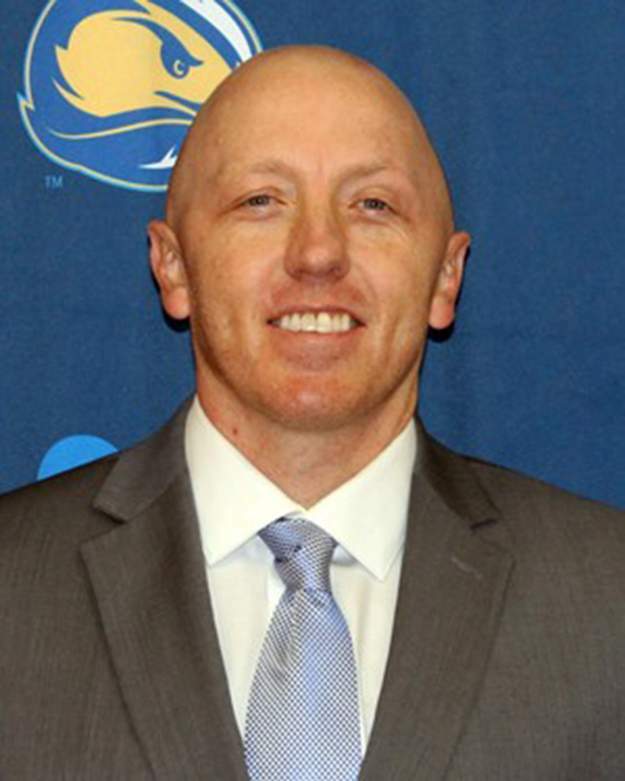 Fort Lewis College head football coach Joe Morris resigned Wednesday, and the Skyhawks immediately turned control of the program over to offensive coordinator Brandon Crosby on an interim basis. Morris coached two seasons at Division II FLC after he was named the interim head coach for the 2017 season in place of Ed Rifilato. Rifilato coached one season in place of famed Division I coach John L. Smith, who resigned after three seasons. Morris’ Skyhawks went 5-6 overall and 5-5 in the Rocky Mountain Athletic Conference in his first season but faded to 1-9 overall, all in conference, during the 2018 campaign. He accepted the defensive coordinator position at West Texas A&M in Canyon, Texas. The Buffs boast a rich Division II tradition in the Lone Star Conference. Morris called the move a good opportunity for his coaching career that will help his young family financially. Morris and his wife, Kelsey, welcomed a son, Joseph, to the family during the 2017 season. Morris will leave FLC for a third time. He played for the Skyhawks and graduated in 2005. He was a two-time All-RMAC recipient at linebacker. He joined the coaching staff in 2006 and spent three seasons as the team’s defensive coordinator before he left FLC for New Mexico Highlands. He returned in 2013 under Smith as the Skyhawks’ defensive line coach, and he was promoted to defensive coordinator in 2015 before he was named the interim head coach in December of 2015 when Smith left for Kentucky State. Morris shed the interim label after the 2017 season. Hinkle will turn over control of the Skyhawks to Crosby on an interim basis. He joined the FLC staff in February 2018 as the team’s offensive coordinator after he spent a season at the University of Nevada as the team’s quarterbacks quality control coach while he was a graduate assistant in charge of wide receivers. Previously, he spent time as a recruiting coordinator at West Texas A&M for one year. He played at Baker University and Saddleback Junior College as a wide receiver. Hinkle is impressed with Crosby’s focus and the recruiting class he has largely been responsible for putting together, with three Division I transfers, including former Wyoming quarterback Isaac Leppke, along with a pair of Division II transfers. Crosby is also hard at work trying to complete the recruiting class going into February’s National Signing Day. FLC has had only 11 winning seasons in its history dating back to 1963. Crosby, who is originally from California, will be the team’s 13th head coach. 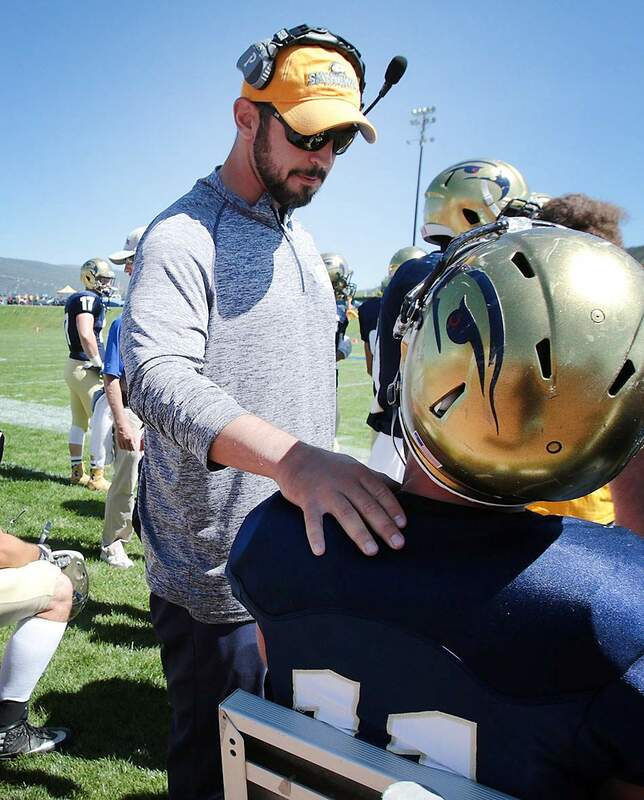 He will be paired with a former coach in Rifilato, who will return to FLC’s sideline as the defensive coordinator after spending one year with Dixie State University in Southern Utah working with the scout team. Hinkle said offensive line coach and run game coordinator Jeff Nady will be promoted to offensive coordinator, though Crosby will call the offensive plays and Rifilato will handle defensive play call duties. Rifilato has coached the FLC football team in some capacity in 12 previous seasons, including the head coach job from 2004-09. After he also spent time at New Mexico Highlands, he returned as the Skyhawks’ linebacker coach under Smith before he was named head coach for the 2015 season. He resigned from the head coach job for health reasons and stayed on as the team’s linebacker coach in 2017. 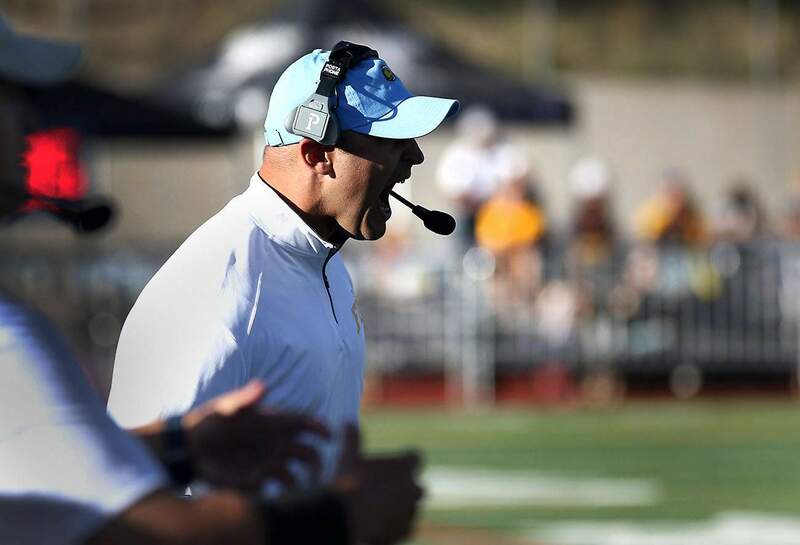 Longtime Fort Lewis College football coach Ed Rifilato will return to the Skyhawks’ sideline in 2019 as defensive coordinator. Morris hopes the move to Texas can help him climb the coaching ladder further. The Buffs have won 11 conference championships and will open a brand new stadium next season. Hinkle said he wished Morris the best and thanked him for his work at FLC. “I love Fort Lewis, it was great to me,” Morris said. “...I just really wanted to be somewhere where football is valued at a high level. I’d love to coach at the highest level I possibly can. Part of me would love to be coordinator or head coach of (Colorado) or (Colorado State) some day.